This workshop provides advice and ideas to parents and carers to teach strategies to help children and young people on the autism spectrum to manage their emotions. It will look at a variety of techniques that can be used in a family setting, including ways of using visual supports, such as The Incredible 5 Point Scale and Comic Strip Conversations. 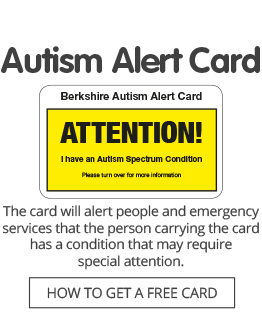 This FREE course is suitable for parents and carers of children and young people with autism spectrum conditions, or whose children are on the waiting list for a Berkshire CAMHS autism assessment, and is supported by the East Berkshire NHS Clinical Commissioning Group. Light refreshments will be provided but please bring a packed lunch. Please note this workshop is intended for parents and carers who live in the Bracknell Forest Council area. For details of workshops in other parts of Berkshire, please see our website.